Thousands of adults entering the workforce every day have never known life without the Internet. But as computing power has increased exponentially while devices grow ever smaller, it’s humbling to remember that we are only a couple generations removed from what was, comparatively at least, the informational dark ages. Here are 10 technologies that represent early attempts to give consumers the kind of unbridled access that we now take for granted. Before the advent of personal computers, the only ubiquitous devices through which a two-way flow of information could be conducted was the telephone. Therefore, much of the information available at a glance from our smartphones today was first made conveniently available through phone-based services. For example, nearly every populated area in the US at one time had a number one could call for the current time and temperature, many of which had operated since near the turn of the century, and some of which are still in use today. 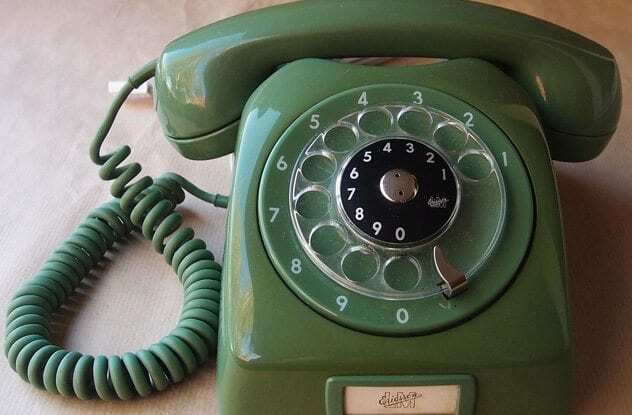 Phone-based services had begun to fill other needs by the mid-20th century, such as multi-user “party lines” (subscription open circuits that can be thought of as early social networks), and even a form of on-demand music was available if your local radio station had a request line. By the ‘90s, the most popular service of this type was Moviefone, which does largely what Fandango does today (give showtimes and book tickets). Its phone service was discontinued in 2014, but it lives on—as an app. Dating websites and apps have flourished within the last 10 years or so, but the basic concept of convenient matchmaking using dating profiles far predates the modern Internet and can be easily traced to a phenomenon seen at the time as a fad: video dating. The first such service, Great Expectations, opened its doors on Valentine’s Day 1976. Members paid an annual subscription fee and visited Member Centers to fill out their Member Profiles and record candid video of themselves discussing what they wanted in a date. Eventually, services popped up to include practically every niche, just like dating sites and apps today, and the industry as a whole generated billions in revenue throughout the ‘70s and ‘80s. It was, however, quickly killed by the advent of online matchmaking. Match.com, the first of these sites, debuted in 1995; Great Expectations, which had grown into a nationwide franchise, was shuttered permanently just a few years later. When video games took the public by storm in the early 1970s, we immediately fell in love with them; so much so, in fact, that we wanted to put them in our pockets and take them with us. That was completely prohibited by the technology of the time. But this didn’t stop some enterprising companies from coming as close as they possibly could—which is to say, not very close—to giving gamers a portable arcade experience. Mattel’s sports-based games tried to replicate action with red LED dots and dashes, while later efforts from companies like Tiger and Nintendo instead used LCD displays to deliver a semblance of animation. 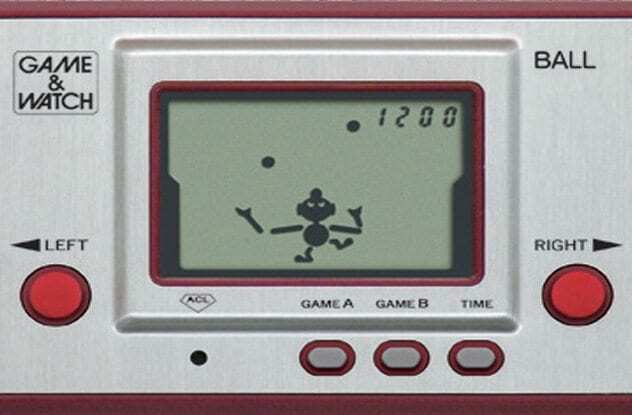 Among the most popular were Nintendo’s Game and Watch series, some of which featured dual or wide screens, and offered (very loose) adaptations of popular arcade titles like Donkey Kong. When dial-up modems first started seeing widespread commercial use in the mid-1980s, the Internet as we know it did not yet exist. 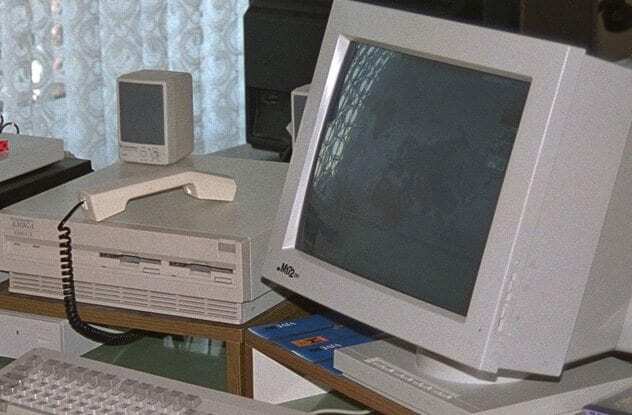 Rather, there was a giant, unconnected network of what may be thought of as early websites—Bulletin Board Systems or BBSs. Users dialed in to post messages for other users (as only one user could typically connect at a time), exchange files, and even find illegal software downloads. Since long-distance phone service was still costly at the time, boards mostly proliferated locally. By the early 1990s, when advancing technology was allowing for early chat and gaming functions on local Bulletin Boards, the Internet was just beginning to make its way into the American consciousness. While its advent all but wiped out what had started to become a thriving culture, as with almost anything tech-related, a few holdouts still exist. Over 300 BBSs still operate today, mostly in the United States. The VCR became a staple of American homes beginning in the late 1970s and early ‘80s. Consumers benefited from a format war in which new innovations came, and prices remained low. But both formats were almost beaten squarely to the punch by the Cartrivision, the first home video recorder ever marketed in the United States. It was an incredibly ambitious device. Marketed in 1972, Cartrivision came as one unit with a TV and was sold under several different brand names. 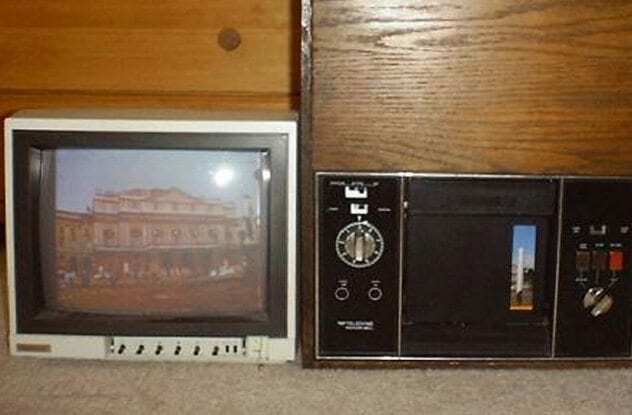 It could record broadcast television on a timer on its plastic cartridges, up to an hour of video; it could also make monochrome home movies with a camera attachment. Cartridges of actual Hollywood films were also made available for rental through retailers. The cartridge design made it impossible to rewind without a special rewinder, ensuring each rental could only be watched once. The Sony Walkman in the 1980s revolutionized the way people listen to music and paved the way for portable music players such as the iPod. But the quest for a portable listening device goes back a little bit further, with a portable gramophone player the size of a CD case appearing as early as 1924. Called the Mikiphone, it promised “an orchestra in your pocket,” and it delivered. The compact device required a little assembly, and instead of a speaker used a “resonator” for amplification. It also required a hand crank to operate, common for record players of the time. Nevertheless, producing from one’s pocket a device capable of playing a full-size record in 1924 seems likely to have been a formidable display of tech wizardry. Eadweard Muybridge, a famous British landscape photographer living in America, was commissioned in 1877 to solve an old riddle through photography. The question was whether all four of a horse’s hooves leave the ground while it gallops, and to find the answer, Muybridge set up a series of cameras with trip wires to capture each phase of the horse’s movement. The resulting slides were converted to a proprietary disc format and projected using the Zoopraxiscope, a circular projector of Muybridge’s own invention that produced the world’s first moving pictures. More specifically, Muybridge went on to produce nearly 100 loops of both human and animal subjects in motion that resemble nothing so much as GIFs. 71 of these discs still survive at the Kingston Museum—along with the Zoopraxiscope, the only one ever built. And yes: All four hooves leave the ground, and Muybridge’s first proto-GIF proved it. 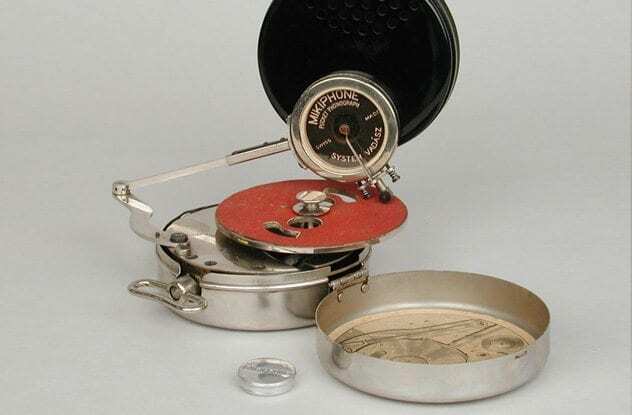 It seems difficult to believe that early personal navigation systems could predate GPS or even satellites, but the first attempt at a commercial navigation device was made when cars were barely past the age of the hand crank in 1932. 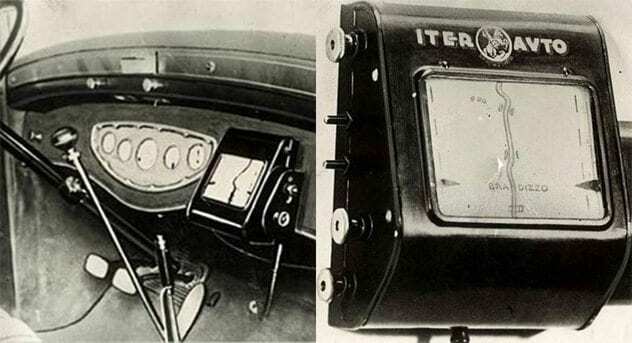 Produced by an Italian company, the Iter Auto was a console connected to the car’s speedometer and used interchangeable, scrolling maps to guide users to their destinations. It was the first device to show a user’s position in real time, and it worked—so long as one didn’t make a wrong turn. Of course, the user also had to start from a predetermined point, and many trips were long enough to require multiple scrolls to complete the trip, so the user would have to pull over and change out the scroll for the next one in the sequence every so often. While the device didn’t exactly catch on commercially, it was an ambitious first crack at a technology that wouldn’t begin to reach fruition for over 60 years. While not exactly a technical marvel, selfie sticks have begun selling like hotcakes in recent years. Time Magazine even cited them as one of the greatest inventions of 2014—which seemed a bit strange to Alan Cleaver, as a grainy black and white photo in a family album, taken with a selfie stick, had been a family favorite for generations. Cleaver’s grandfather, Arnold Hogg, took the above photo in 1926 using a device of his own invention. As you can see, it looks pretty much exactly like a modern selfie stick. Arnold’s sense of humor is evident in his expression in the photo, and he remained fond of breaking out his device until his death in 1972. 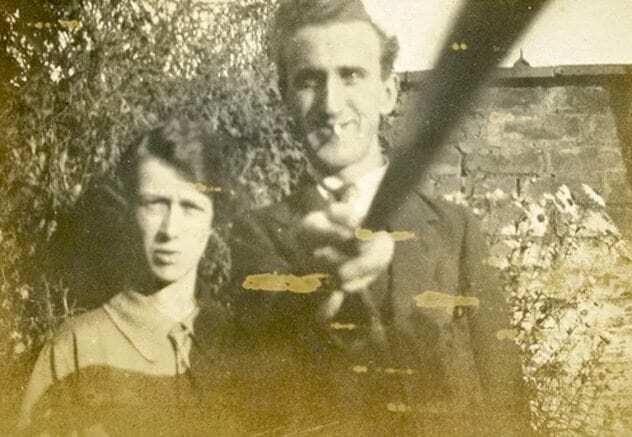 While Mr. Cleaver is not a fan of modern selfie sticks—“We’ve become so insular we haven’t even got a friend to take a photo for us now,” he says—he admits that it would have been nice if his grandfather had filed for a patent. Finally, while music streaming services are all the rage today, it may be surprising to know that the first service to stream music to phones predates smartphones, the Internet, and even modern telephone service. All the way back in the early 1900s, those who had telephones could call the operator and ask to connect to the Telharmonium. The gigantic contraption looked every bit as Seussian as its name and could pump electronic music to the user’s telephone receiver. 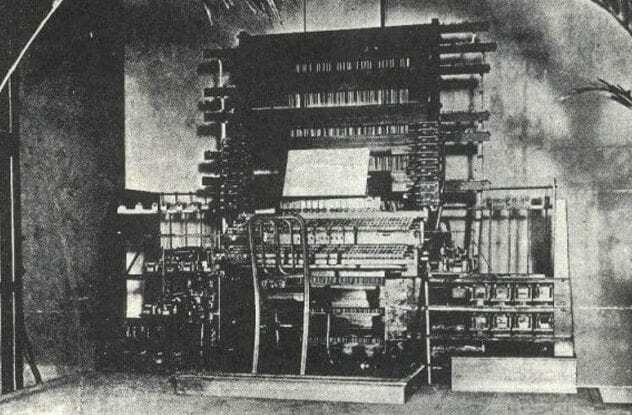 The Telharmonium, 200 tons of machinery taking up an entire floor of a building, was an enormous maze of relays, alternators, transformers and switchboards connected to two special keyboards. Musicians would play 24 hours a day, which would be converted into electrical signals by the Telharmonium, generating eerie, tinkling electronic tunes. A special paper funnel attached to the telephone receiver amplified the sound, as amplifiers had not been invented yet.